"Find a way. We slept yesterday, today we work. Today, I'm wearing Under Armour." Kevin Plank, the CEO, chairman and founder of Under Armour is pretty damn pumped about the potential of the connected fitness chapter of his shirts and shoes story. Speaking at SXSW Interactive, Plank's enthusiasm for his company and for sports performance was contagious. Above all else, though, he's really excited about data. "Is it a coincidence that the companies you would bet on to win are Google and Amazon? They use data to know that you need a new tube of toothpaste, it's been six weeks and they send you an alert. We believe data is the new oil. The companies that will win are the companies that are using math. As humans we make decisions but it's important we have the best information to make our decisions." Reviews of the Under Armour Band and HealthBox have been mixed, including from our own editors, but this is, after all, something of a first effort. The hardware was in development for six years but at some point, Under Armour realised that the "value is in the community." 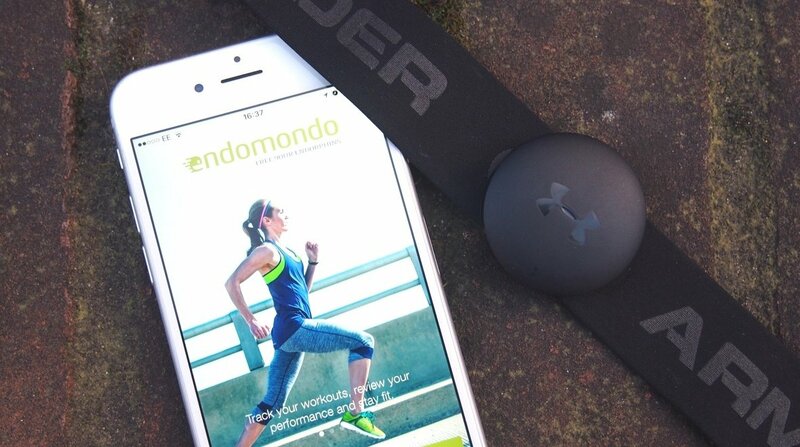 UA is adding users to its suite of apps (UA Record, Endomondo, MapMyFitness, MyFitnessPal) at a rapid pace. Every eight days, it is adding over one million new users to its 160 million+ community with 130,000 downloads a day. Asked about the fate of Nike's FuelBand, Plank quipped: "How did that work out?" before pointing to the fact that Under Armour's app are all device agnostic. When my rivals say innovation is a new knit upper on a shoe, I roll my eyes. I think they're being lazy. "You could use an Apple Watch with Under Armour's apps but you won't be able to track your sleep because you'll need to charge it," he said. "If you want to use a Fitbit wearable and a Garmin heart rate strap and a Withings scale, go for it. It's complex and difficult, though. Across the four apps we now have, we think that we have the best dashboard for our health." That's not all the CEO has to say to rival sports companies, either. SXSW got to hear some fighting talk, too. "When my rival says innovation is a new knit upper on a shoe, I roll my eyes. I think they've been lazy and we are the ones who are disrupting in this space." With the data itself, Plank wants to take biometric measurements to the next level by actually improving people's lives. This could be as simple as apps asking users how they feel on a scale of 1 - 10. He wants to empower users and bring different sets of data together, more so than rivals like Fitbit can do alone. "We knew it would have to be a combined system," he said. "I am so excited about the data we are collecting today, even down to weight and body mass index on the scales. But we are in the first inning of this game." Plank might see Under Armour as a performance company but when he talks about the next ten years it's the link between fitness and overall health that clearly most interests him. For one thing, he says it's crazy that we don't know or log how many days we are sick in a year. The size of Under Armour's user base could have incredible implications for health and it comes back to data. "In our data group, I know that there are 4.6 million males in my age group - On average they weigh 192.3 pounds, they get 6 hours 28 minutes of sleep a night and when they run they run 4.116 miles versus an overall average of 3.1 miles. "Imagine if I log five years of this data and someone else has logged their data five years ahead of me then has a heart attack. Imagine if I could see all the people in my database within 5% of my age, weight, height, body type, of the same blood type, similar cholesterol and blood pressure. "We want to tap into this, that's why we have partnered with IBM. The largest obesity hospital has sample sizes of 10,000 people. The sheer number of people we have volunteering that data, for all the right reasons, could really help to improve people's lives."